We’ve all been there: scrolling down our news feed on TwInstaBook and we see someone repost an article with a title like “Brokenhearted Mom Warns Others Not to Make This One Mistake” followed by an article highlighting the dangers of something fundamental we learned while we were pregnant but may have let slide after the baby was born. Then (if we can bear to keep reading) we hear some awful story about a kid who fell victim to this danger. Since it’s National Baby Safety Month, I’ve created a refresher course on the most common safety issues little ones face that were all inspired by terrible warning posts that came up in my feed. Make sure you're not guilty of any of these easy-to-make parenting safety gaffes. I personally swear by these tips, but I'm not a professional safety expert, so be sure to talk to your pediatrician before changing your routine to make sure they are on board with our suggestions. But first, to celebrate Baby Safety Month, the folks at MAM are giving away a $50 gift package of assorted items including their new Perfect Pacifiers, bottles, teethers, drinking cups, oral care items, and an ergoPouch ergoCocoon swaddle to sleep bag. To enter, send an email to info@babygotchat.com with your full name and hometown. Then follow babygotchat and mam_usa on Instagram to be eligible. I'll be collecting entries until October 8. This is a really good tip to remember when you need to put Junior down for two seconds and the bed, couch, or changing table look really appealing. Even if you really don’t think they are going to move, even if you’ve never seen them roll, keep in mind the sight of Mommy walking away can motivate babies to Herculean efforts to follow her. Falls are the leading cause of non-fatal injuries in children ages 0 to 19. About 8,000 children a day in the US visit the emergency rooms for fall-related injuries. Sure, the floor can be cold, hard, gross, etc., but even banging the back of their head on the kitchen tile is nowhere near as bad is if they took a dive from higher up. The same goes for putting the car seat, Bumbo, or booster seat on a table or countertop. 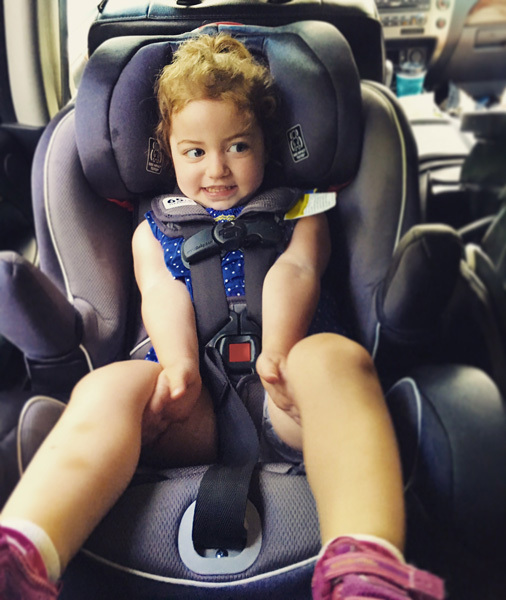 Car seat safety is our pet passion at BabyGotChat. It’s so important for your kids to be strapped securely into their car seats every time anyone takes them out. Sure, it’s tiring go through all the steps several times a day, but you are their only hope to ride safely, and their bones and joints can’t handle impact the way we can. They need their 5-point harness to be positioned correctly, all the time. See the photo below for tips to get a great fit. And make sure anyone who straps them in passes the test. Don’t be afraid to offend--your child’s safety is more important than ego. Don't forget to remind grandparents and caretakers that big winter coats come off in the car. They take up so much room in the car seat, but squish under force, so the straps become too loose in an accident. It’s also a good idea to bring your car seat on the airplane when you fly. In addition to being tremendously more safe, it makes your flight easier because it keeps them strapped in a place that is comfortable, clean and familiar. And speaking of riding safely, if you need to pull over to check on the kids (because they are crying, because they dropped their toy and are freaking out, because they made a noise they never made before and your mind is going to scary places) please PLEASE pull over somewhere safe before you get out of the car. Not the side of the highway, not on a 2-lane road with no shoulder, not on an on-ramp. I've seen so many cars lately pulled over dangerously close to fast-moving, unpredictable traffic. It's worth the extra thirty seconds to get to someplace safe and well-lit to park your car and check on them. They look so still when they sleep, but kids can toss and turn as much as we do. They don’t have the muscle strength to wiggle free of a blanket as it becomes wrapped around them. Save them the task by keeping the crib free and clear. Worried about them being cold? Invest in some fleece zip-up onesies and they’ll be fine. Or in light weather, MAM suggests the ErgoPouch. Ensure that your baby’s crib meets CPSC standards and that everything in your nursery is free of harmful chemicals and toxins. I've heard rumors that off gasses of unsafe crib mattresses could play a part in SIDS. I'm not sure, but there are organic mattresses you can buy, and it's a good idea to set up your mattress prior to baby using it so it can air out for a month or two. MAM recommends that you check that the crib of your choice is not on the CPSC recall list. MAM wants to remind us that babies should always be placed to sleep on their backs. Placing babies to sleep on their sides is just as dangerous as placing babies to sleep on their stomachs, since they are likely to roll over on to their stomachs while sleeping. 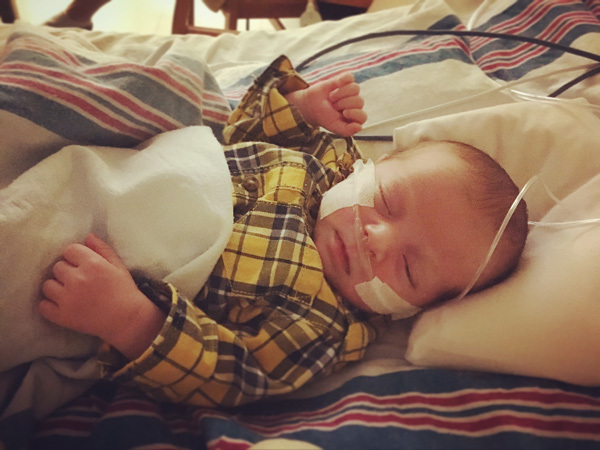 A recent study by the American Academy of Pediatrics shows that about 2 in 10 babies are placed to sleep in incorrect positions that greatly increase the risk of SIDS. Consider pacifier usage when placing baby down for sleep and remember that the pacifier may not be reinserted once baby falls asleep. Pacifier use is shown to reduce the risk of SIDS. MAM supports the AAP published guidelines for pacifier usage. Check them out here. Just as important is ensuring that your baby’s crib is placed away from windows, where drafts and sunlight can put your baby at risk; as well as drapes/blinds, which are strangulation hazards. Home Depot sells cordless blackout shades that are easy to install. Do yourself a favor and replace all the corded blinds in your house. In addition to being safer, it beats having to wind the cords around those babyproofing cord mounts each day and unravel them each night. I know you're thinking, But I have a house. That doesn't mean you're off the hook. 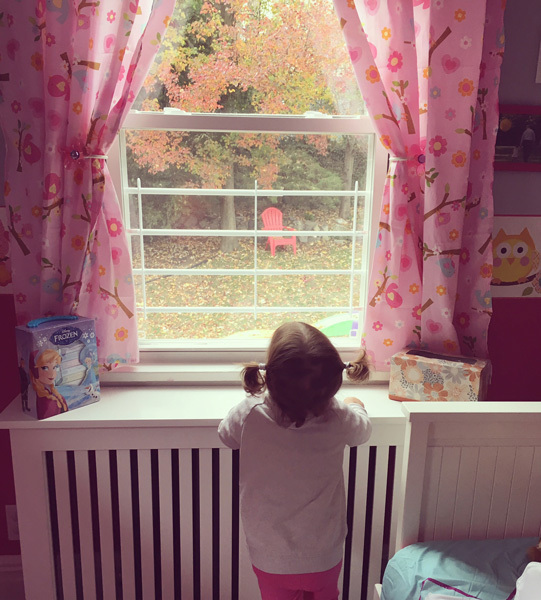 We all associate window guards with apartment living, but kids love to climb and explore, and the second story of your residence can be just as unsafe as the tenth floor of an apartment. Just because you have a fly screen doesn’t mean your kids are free of danger. The only way to make sure they are safe in rooms where they spend any amount of time unsupervised is to use window guards. Window gates don’t have to look ugly, and the residential ones open so you can exit the window in case of an emergency. We have white gates from Amazon on the windows of our kids' rooms. They look nice and are hardly noticeable from the inside or outside. And we have peace of mind knowing if they wake up from a nap early there’s no way they could get in trouble. You’re out for a walk and the sun is strong, and it’s pretty hot out, so you grab a muslin and throw it over the stroller so your baby can have some cool shade, right? They may get a little protection from the sun, but this technique is anything but cool. Creating a tent inside the stroller cuts off air circulation, and while the sunlight doesn’t come through directly, the sun heats the air inside the stroller, possibly to dangerous levels. If you want to cool off and shade your kid, get a stroller fan and a lightweight hat for them to wear. And one more thing…. It's easy to get out of the habit of toting along sunscreen for your child, especially since we'd been told to avoid it for the first six months. But now that they're older, it needs to be part of your routine. Severe sunburns as a child increase a person's risk for skin cancer as an adult. The Skin Cancer Foundations says: "Suffering one or more blistering sunburns in childhood or adolescence more than doubles a person’s chances of developing potentially-deadly melanoma later in life." Don't let them be part of this statistic. A lot of kids don't like having sunscreen applied. I've seen parents dread having to put it on. If that sounds like you just keep in mind children have very little body area to cover in the first place, so even if you have to fight them for it, it will be a quick fight. Long sleeve and one-piece bathing suits with UPF can help cover up more of their body with fabric so you have less to sunscreen. A hat is a good idea because it helps protect their eyes and scalp as well. It's important to cover the skin on their scalp, but I'm not always eager to slather my kid's hair in lotion that will need to be shampooed out. This tip is not just for summer. The sun can come in from unlikely places throughout the year. I have a friend whose fair-skinned child can get red on an overcast day--even if you don't feel it, the sun does come through. And consider your car windows, which don't necessarily block harmful rays. The Skin Cancer Foundation says: "If you are traveling by car, keep your baby centered in the back seat, furthest from both side windows. Even better, have UV-blocking film applied to all the windows—the sun’s UVA radiation can penetrate glass, but window film will block almost 100 percent of both UVA and UVB rays without reducing visibility." All parents have a love/hate relationship with the playground. On one hand, it’s super fun, they get their energy out, and you might even get to sit on a bench for a minute doing nothing. But on the other hand, there’s always some structure that’s too advanced for them, and that’s the one they go for. Once your little one learns how to climb, you’re bound to see their smiling face at the top of the slide. When you do, resist the urge to climb up with them and put them on your lap. Here’s why: when your kids slide down by themselves, the force of their weight at the speed they are moving is at a safe ratio. Even if they stick out a hand or leg, the odds of seriously injuring themselves is very low. But once you add your weight and velocity, if by any chance they stuck out a leg or arm as you went down and it got wedged on the edge of the slide, they could break it. You can stand at the bottom to catch them, but you should stay off the slide yourself. Kids love water, even before they know how to get in and out safely. If you have a pool or are staying at a place with a pool, make sure the gates surrounding the pool are locked. If you’re in a hotel with a direct path from your room to the pool, be vigilant about keeping the door latched. We’ve even put a chair in front of the door at night just in case she wakes up first and starts exploring. And don’t forget about smaller bodies of water. We drain the bathtub while our kids are still inside so it’s empty when we get out and there's no chance of forgetting about a full tub once the bedtime chaos is under way. Always keep your bathroom door shut, ideally with a babyproof doorknob cover. Wash their hands as often as possible in the winter. Keep hand sanitizer in the car and near the front door so you can get clean on your way in and out of places. Change their clothes when they get home from school or daycare. It's been shown that viruses can live on clothes. Keep newborns as separate as possible from older siblings during the first month. 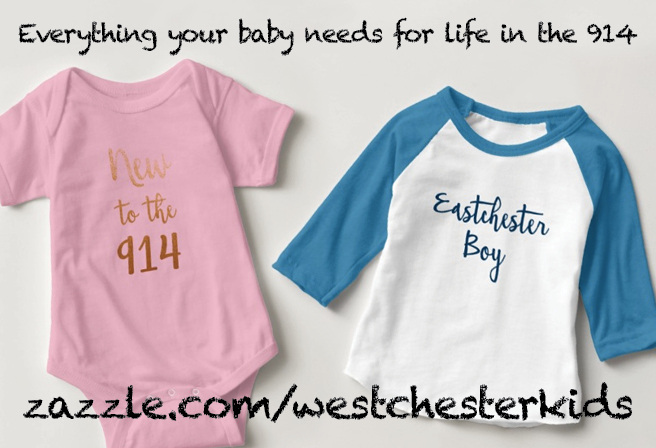 When we got back from the hospital stay, we chose a designated parent for each of our two kids until the newborn recovered. Parents can act as transmitters when they help the toddler blow their nose and then rush to pick up a crying newborn. It sounds like a bummer, but spending ten days in a hospital is worse than keeping the newborn a bit isolated during his first weeks. Make sure the household has their flu shots. This will help protect against many strains. If something happens to you, people might not know you have kids waiting in a car. They'll be stuck there longer than the 2-second errand. What could happen? The gas station gets robbed, you have some medical issue, you get hurt. These are slim chances, but we going for 100% safety, not one bad day or unexpected event away from a tragedy. Someone could steal or hit your car. And you won't be there to have any info about what happened. Something could happen to your kid while they are in the car and you can’t assist them. Someone could see your kids in the car and call the police. This is probably the most likely scenario, and it seems harmless, but if the police come they will file a report and fine you, and you might have to get a visit (or more!) from Child Protective Services. It’s unlikely your kids will get taken away from you, but if you get charged with leaving them in the car, your life will get a lot more complicated. Save everyone the hassle of having to prove you're actually a great mom. Making the formula “light” may seem like a good trick to save money, but infants need a certain amount of nutrients and a certain amount of water. If they get too little or too much of either, it can throw their system out of whack. Especially since too much water for a baby can be toxic. If you need help getting your baby enough formula to eat, reach out to a shelter or on a local Facebook mom group. Moms in our area love to help struggling fellow moms. And a follow-up tip: memorize the poison control number. In an emergency you don’t want to have to go looking for it. Again, if any of these scenarios sounded familiar, it's because they were all inspired by a "Devasted Mom Warns About Doing This" clickbait post that hit my feed once. If we can heed these 10 tips, our kids will be that much safer from some the most common uncommon accidents that can harm them. BONUS COMMON SENSE TIP: Don’t lose their favorite toy! Don’t let lovey leave the house. It may seem like the only thing that soothes them is this toy, and there’s no harm in going to Grandma’s with it, right? And music class? And the doctor? And then to the grocery store…oh wait…now it’s got a fuller life than Oprah. If their lovey is a bedtime doll, tell them it stays in bed. If they protest, have them pick another toy to walk around with. Now if that ends up becoming their favorite, you’re in trouble, but as long as you make a big deal about being reunited with lovey at the end of the day, lovey should remain the favorite. We take this rule one step further and separate our toys into three categories: upstairs toys, downstairs toys, and car toys. This ensures that cherished toys stay in the house, junky car toys don’t lose their novelty when they are brought inside, and when a piece of a set goes missing, we at least know which floor it’s on. If you can commit to being this organized, it makes life a lot easier. We’ve been training our daughter in this principle since she could walk. When she comes to the stairs, dolly in hand, we simply say “that’s an upstairs toy” and she tosses it down the hallway and heads down empty-handed. If you can’t commit to keeping lovey in bed, some parents buy a second one to stash away. The real ninja parents say to rotate them so they get the same amount of wear and tear, but I can’t pull that kind of con on my kid without getting caught. I don’t have a backup, but I did take pictures of lovey's tag with the SKU and bookmarked the item on stores and ebay so I can look it up if I ever need to replace it. That's it for this week! I hope you enjoyed the tips. Share them with your parents, babysitters, other new moms, anyone who could use a little common-sense refresher course. And don't forget to enter our giveaway for $50 MAM gift package of assorted items including their new Perfect Pacifiers, bottles, teethers, drinking cups, oral care items, and an ergoPouch ergoCocoon swaddle to sleep bag. To enter, send an email to info@babygotchat.com with your full name and hometown. Then follow babygotchat and mam_usa on Instagram to be eligible. I'll be collecting entries until October 8.